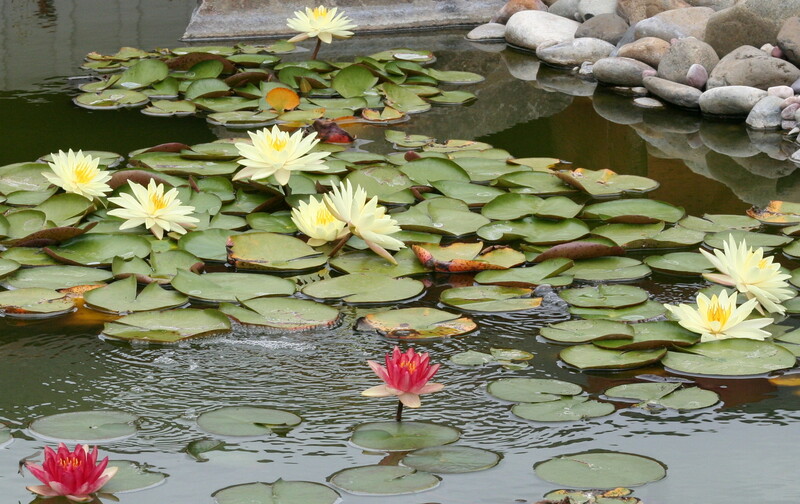 Our water lilies are enjoying the hot summer and have been blooming regularly. 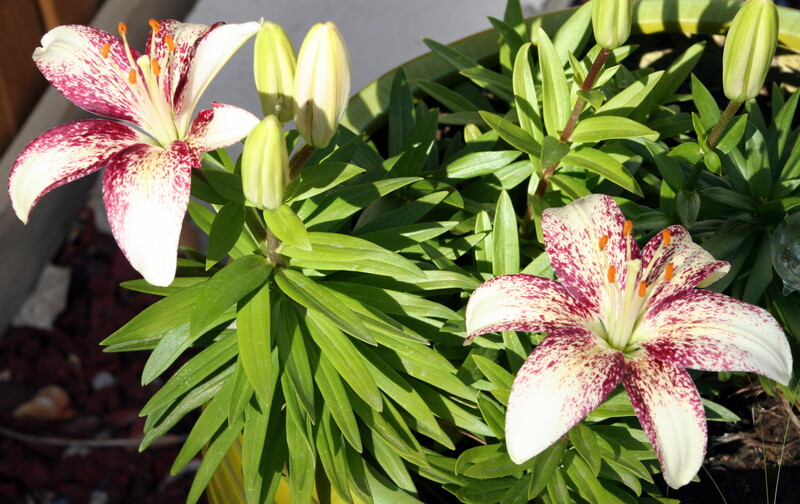 We recently had a ten-lily-day! We were close to an unprecedented eleven-lily-day but it didn’t happen… YET. We got some new pond plants and my favorite so far is a rain lily (Zephyranthes flavissima). Lovely bright yellow flowers that keep coming back. 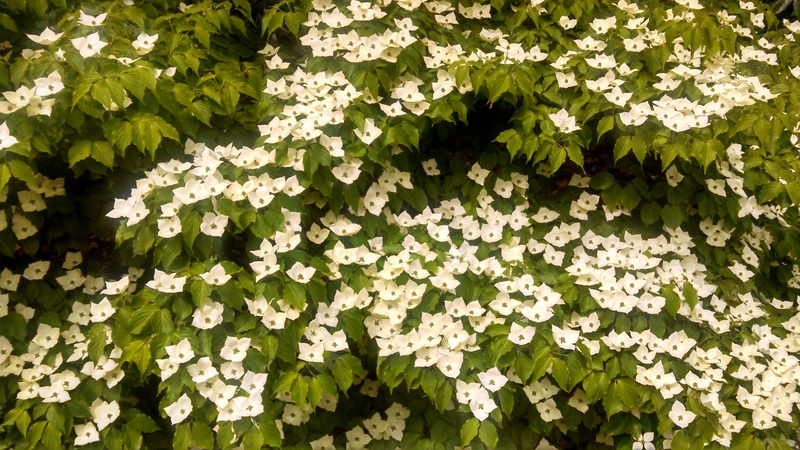 Usually the plants that volunteer to grow in your yard without your explicit request are the ones that you have to call weeds and pull from the ground by their roots. They are, sadly, generally quite ugly. 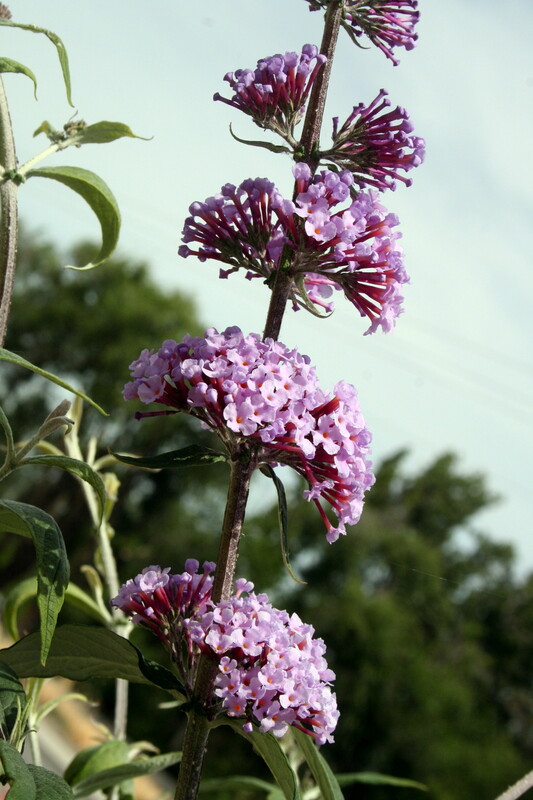 In this case a butterfly bush decided to plant itself in our circular drive garden. (Technically, it’s an elliptical drive. THAT is a very long story.) Because I knew what it was, I let it grow. At some point we may choose a different home for it, but for now I’m happy to have it where it is. It just started blooming and I’m looking forward to the butterflies finding it soon. 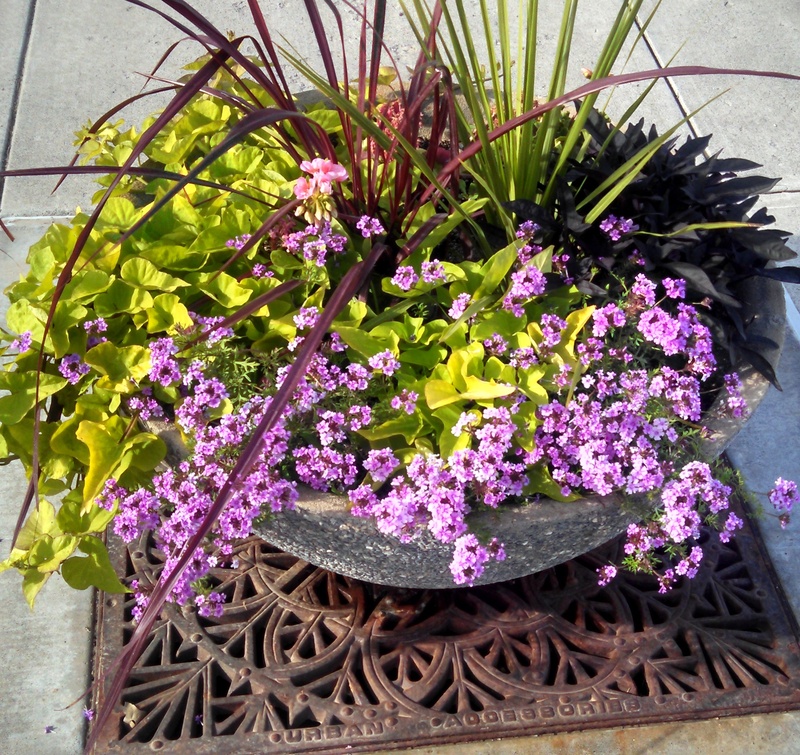 There are those who think it’s a waste of time and money that my employer has flowers in planter boxes around campus. Personally, I think it makes being at work much more pleasant – and it certainly makes walking around campus a more lovely experience. Also in Alexandria, my hotel had an external bridge between buildings which allowed me a bird’s-eye view of this beautiful tree. My beautiful Asiatic lilies have returned! I planted these last year and hoped they would over-winter and come back (not always guaranteed). They’ve returned with a huge number of blooms ready to come! I’m very very pleased. 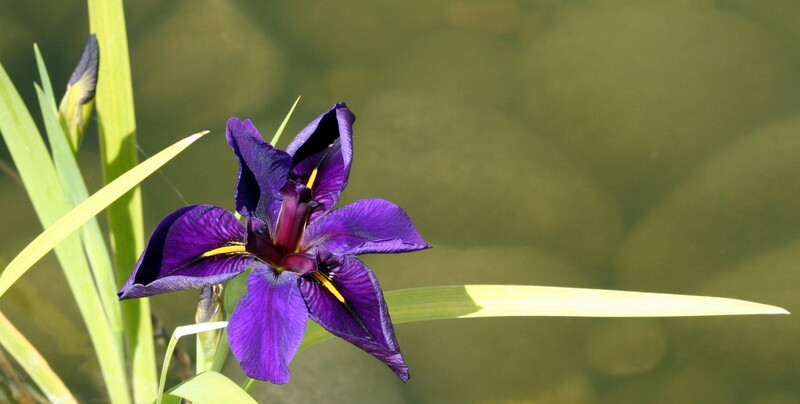 Another water iris has bloomed and the color is so intense and gorgeous that I’ve decided it’s madness to try to decide which is most beautiful. This is just as it’s finishing opening. The deep purple contrasted with the yellow pollen and chartreuse leaves is simply stunning. And as you can see, there are several more waiting to bloom!